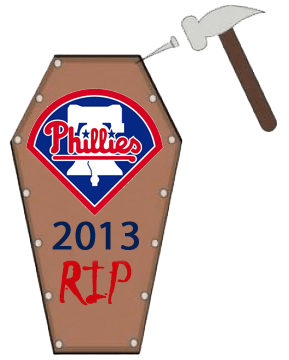 In their 4th consecutive loss on Wednesday night, I do believe the Phillies finally rolled over and died. They did not just lose 4 games, they were slaughtered in the ugliest and most painful manner possible. Every problem this team has had this season was glaring in last night’s 3-11 drubbing, courtesy of the Cardinals. 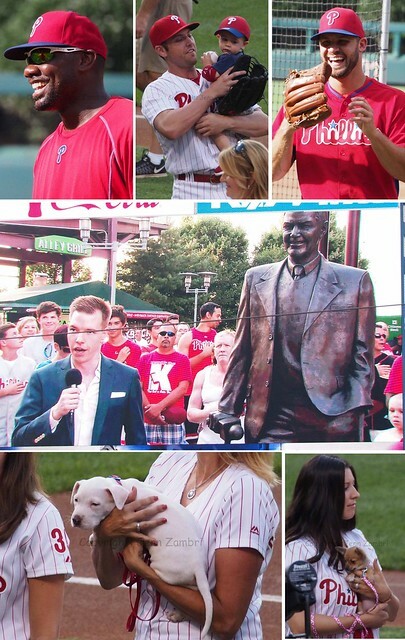 It was a proverbial highlight reel of all that is wrong with the 2013 Phillies. First, the starting pitching has been wildly inconsistent. John Lannan had 2 solid outings in his last few attempts; but last night, he was run out of the game after only 4 innings with 4 runs allowed. In the 4th inning, Lannan walked the opposing pitcher who then proceeded to steal second base and score after a single from the next batter. Next, the defense was pitiful. John Mayberry Jr. summed up 2013 defense with a Little League play in the 5th inning that allowed 3 runs to score. He dove for a ball that he had zero chance at catching in the air, only to watch the ball sail past him into deep center field. And then there was the awful bullpen performance. J.C. Ramirez allowed 5 runs in one inning of work. Jake Diekman added 2 more for the Cardinals in the 8th. And how about that offense? What offense, you may ask yourself. Exactly. 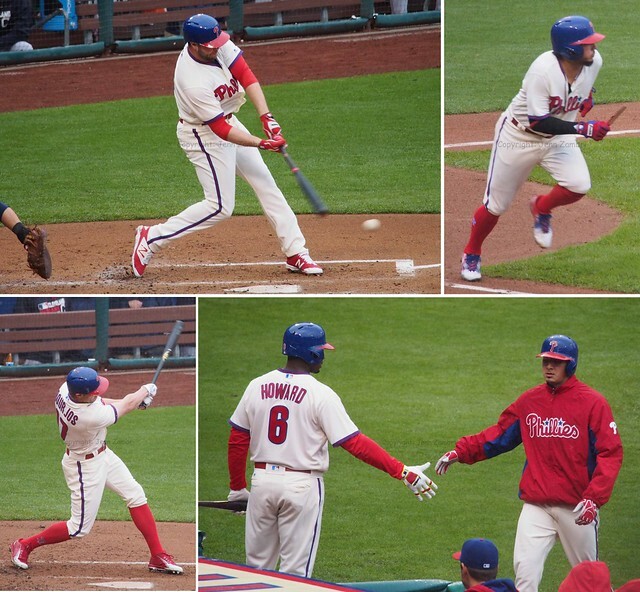 The Phillies have scored 4 runs total in their last 3 games. The trade deadline is less than a week away. If GM Ruben Amaro Jr. has half a brain, he will begin selling as many players as he can and give this team some hope for the future. And if he wants anyone to attend games for the rest of the year, he should scratch Chase Utley, Cole Hamels and Cliff Lee off any possible trade list. Anyone of the other veterans are fair game, in my humble opinion. 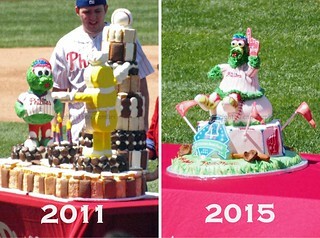 Now back to reality…and reality has hit the Phillies hard this weekend as they dropped 2 games out of 3 to the Mets. Saturday’s game was winnable, but Cole Hamels floundered again and the offense blew many opportunities. 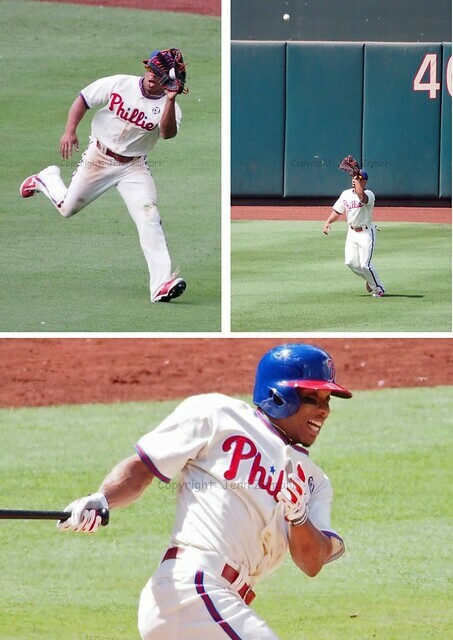 Sunday’s game was an utter disaster that marked the Phillies 9th time being shut-out this year. 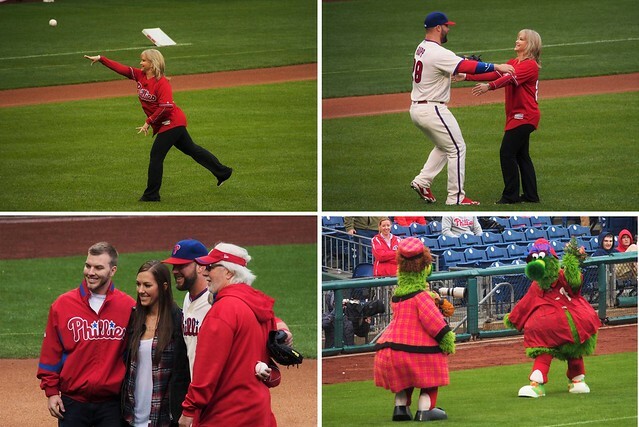 Pitcher Cliff Lee was, once again, killed by the long ball. The 5 Mets’ runs came off 2 homers and both were hit with 2 outs in the inning. With All-Star game starter Matt Harvey on the mound for the Mets, Lee did not stand a chance unless he controlled the long ball, which he did not. 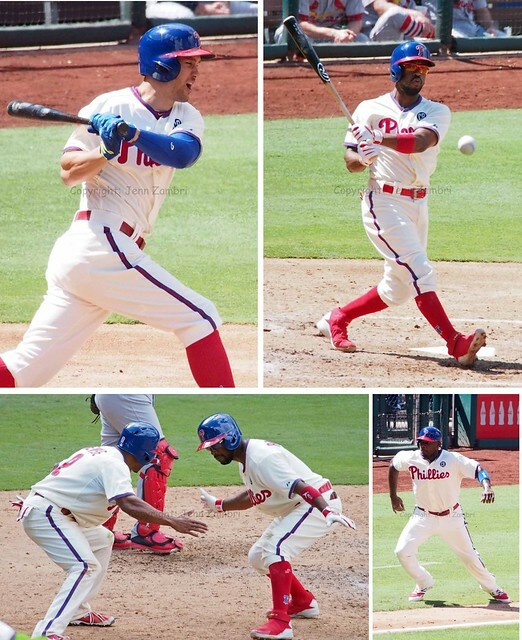 The Phillies offense was just as awful; they managed only 3 hits off Harvey and piled up 12 strikeouts. 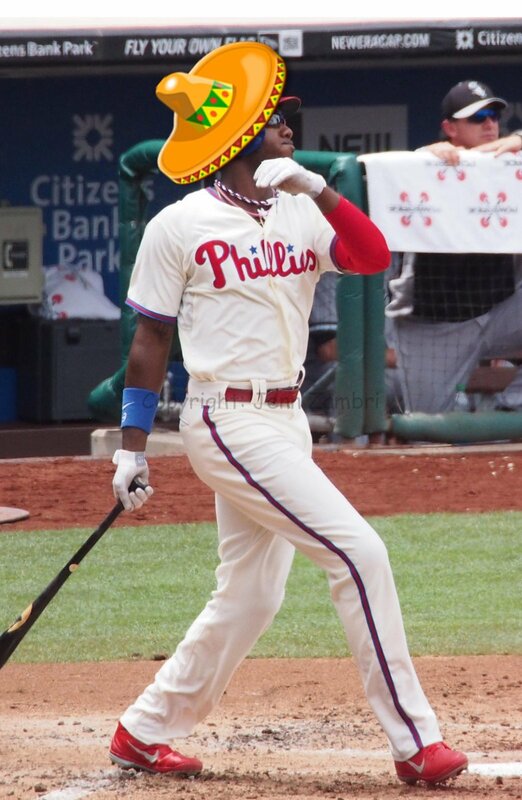 Domonic Brown got the Golden Sombrero with 4 K’s in the game. Was it not just 2 days ago this team scored 13 runs? After their performance on Sunday, you would never imagine this was the same group of guys. Granted, Harvey is one of the best pitchers in the game right now. But the 12 K’s tells you that the Phillies could not even manage to make contact with the ball. Zero walks then equals zero patience at the plate as well. It was just plain ugly. And now the Phillies are once again in limbo as management decides whether or not they have any shot at all at making the playoffs. Personally, I do not see it happening. This team has lacked consistency all season long; they have too many injuries and no sense of urgency. But since both the Braves and the Nationals went cold this weekend as well, the Phillies did not lose or gain any ground in the division. And that will make the decision to buy or sell before the trade deadline even more difficult. Then again, GM Ruben Amaro Jr. may already have made up his mind after this weekend’s performance. And certainly no one can blame him if he goes into sell-mode. This team has not given anyone any real reason to hope, especially after their 2 best pitchers bombed on back-to-back nights. The Phillies are off today before starting a 3-game series with the Cardinals on Tuesday. 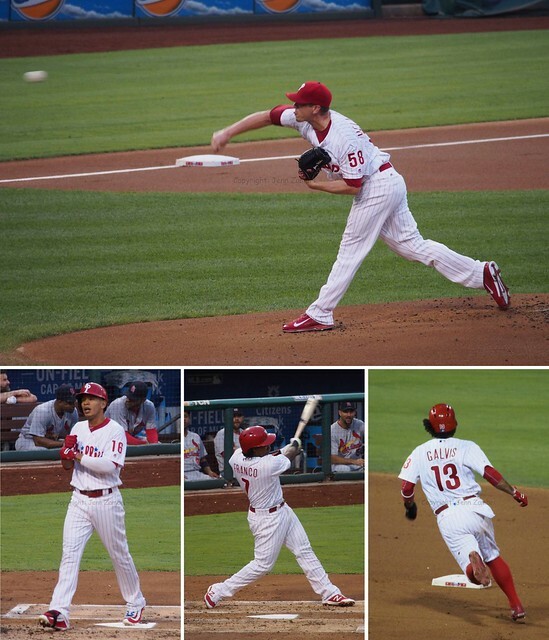 The Cards have the best record in the majors…and that is not good news for the Phillies.